This is a step-by-step guide, how to setup private Ethereum network. We’ll set up a network and create two simple JSON-RPC clients in order to communicate with our Ethereum nodes. Private blockchains: a fully private blockchain is a blockchain where write permissions are kept centralized to one organization. Read permissions may be public or restricted to an arbitrary extent. Likely applications include database management, auditing, etc internal to a single company, and so public readability may not be necessary in many cases at all, though in other cases public auditability is desired. To get the difference between Public and Private networks read this article by V. Buterin the author of Ethereum. I assume you have got hand-on experience with Docker, also you’re knowing Ruby or Nodejs a little. You can ask why docker? I don't want to install geth locally. Copy the source code from my Github repository. In order to create private network we need the genesis file which must be on both nodes(look in the eth_common/). docker build -t node_one . docker build -t node_two . Second one is also ready. -p 8545:8545 in the node_one expose the default RPC port of geth. -p 8546:8546 in the node_two expose port, which will be used later in geth. — net=ETH is a custom docker network, to allow containers communicate each other(because we’re building the cluster). At this point we have two docker containers connected each other. Need to generate coinbase account, in order to mine ether we must provide an address to receive reward for found blocks. Here we’re using setup_account shell script, which has been copied early to the docker container. Time to start minning. Let’s run some command and check the state of our nodes. I omit a most part of the enode, your enode url will be other, except the last part [::]:30303. [::] — means localhost, that’s the enode url of node_one. Ok, at this point we're having enode urls of both containers, let’s add its to each other. In order to do that, we need container IP address, which we have from the output of the docker network inspect ETH command, IPv4Address. 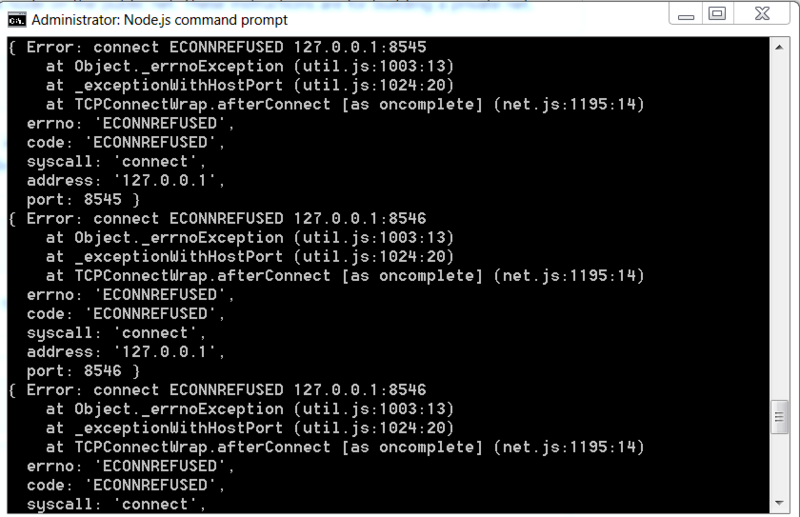 Don’t close docker containers it’s time to create a script to run commands in our nodes by JSON-RPC. We have builded private ethereum network cluster with the script writen on Ruby and Nodejs, these scripts able to communicate with our cluster using JSON-RPC protocol. It’s a good start to create your blockchain project based on Ethereum. ❗️ you use the howto at your own risk..
P.S. forgive me my bad English, it’s not my native language. An awesome tutorial, covering things that are otherwise hard to piece together from other sources. Thanks! This is excellent guide. Thanks for the efforts for putting things together. One question: why are you making a custom image instead of using the ethereum official docker image: https://github.com/ethereum/go-ethereum/wiki/Running-in-Docker? @panshul007 my guess is because the default docker image runs a node on the public net. These instructions are for building a private net. Hello, I don't understand why we need to manually add peers with admin.addPeer(enode). I mean, they are supposed to be already in the same network, why do I need to link them between each other/with the first container ? I am getting this error when i run the index.js script. My geth instances are up but the blocks are a lot of time to sync. How can i "geth attach"? eth.hashrate alway = 0, pls tell me why? After creating the network how can I deploy smart contracts to it ?